The Conference on Animal Rights in Europe (CARE) is taking place in Prague this year! 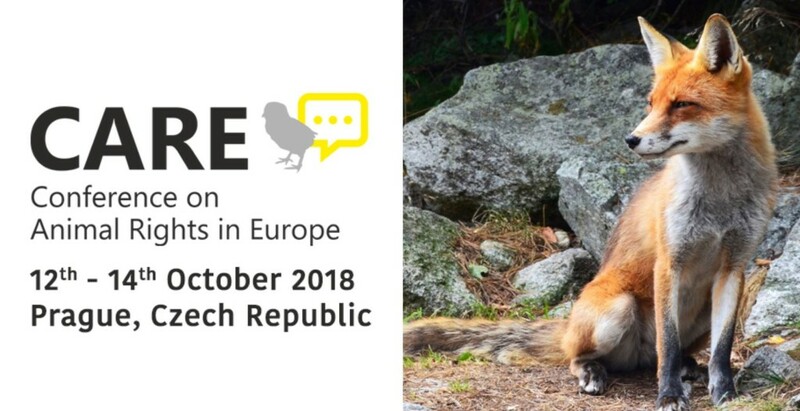 CARE is an international conference aimed at connecting and inspiring animal rights groups throughout Europe. Early bird registration: until the 22nd of July 2018 (this Sunday). The conference is a chance to meet and grow with organizations and individuals both new and established. This will be an opportunity to meet minds, exchange ideas, and share strategies to strengthen the cause as a whole. This is an extremely critical time for the cause – as more inhumane industry sweeps across Europe, more action and education is necessary. Animals are not the only ones who benefit from this movement – humans and the environment do too. We encourage powerful activists and participants from all realms to participate in the event. This entry was posted on July 20, 2018, in Activism, Conference, Europe, Uncategorized. Bookmark the permalink. ← Call For Papers: ‘Animal Machines / Machine Animals’.